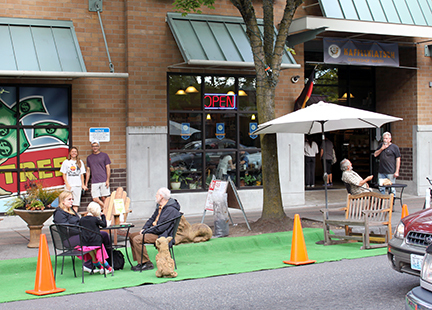 Friday, Sep. 21, 2018, 10:30 – 11:30 a.m.
Join us for a story time in the one day only "park" in a parking space in front of Kaffeeklatsch on Lake City Way. Stories and activities for an hour. Come for one story or the whole hour!